"The Most Noble Problem in Nature"
Benjamin Martins print of the geography of the transit of Venus, published on 1 September 1760. 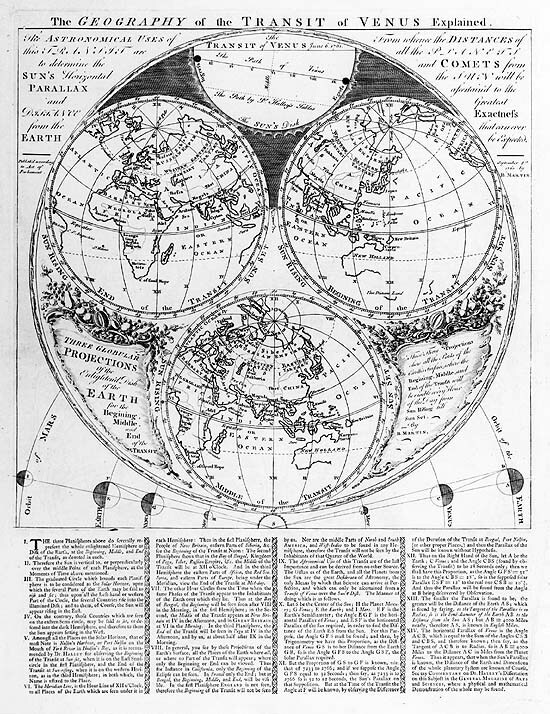 Martin explains the visibility of the transit of 1761 by giving three views of the earth, showing the hemisphere facing the sun at the beginning, middle and end of the transit. This is the only known surviving copy of his print.